Jimmie Johnson won his 8th race at Martinsville yesterday, his 62nd overall, in another dominating performance from a Hendrick machine at the track. Had that one caution not came when it did, he would’ve had his hands full with Jeff Gordon gaining on him by 3 tenths of a second a lap, but it wasn’t to be. Chad mad some adjustments and on the next restart, Johnson, Bowyer and Gordon all ran their fasteest laps with Jimmie pulling away for good. If a victory at a short track can ever be called a walk in the park, Johnson enjoyed a Sunday stroll from start to finish. At no point in the race did he run below fifth. “I think the fact that we had just such a calm weekend was the biggest part,” Johnson said. “It’s easy to start chasing things here and get yourself off track. We always race well, and fortunately here you pit a lot and you can make big changes to your race car to get you in the ball game. “We’ve won races where we were just terrible to start the race, having no fun. (Crew chief) Chad (Knaus) is throwing spring rubbers in the car and the track bar is coming up or down, wedge in and out, all those huge, huge changes, and we get ourselves in contention. Kurt Busch had an interesting ride, landing in the wall with his car on fire and bringing out the red flag, check the video below. 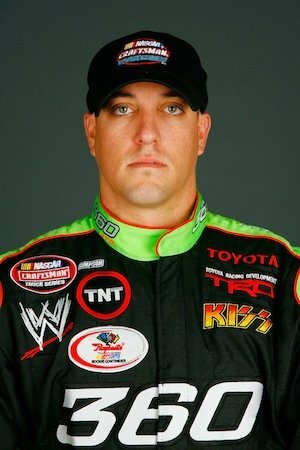 Former Nascar driver Tyler Walker, who was suspended in 2007 for violating Nascar’s substance abuse policy, was arrested Wednesday after a high speed chase with police across three states. He was caught speeding in Nevada and he and his passenger, Raelie McDonald, were chased into Arizona and Utah, where police deployed spike strips to stop his car. He took off on foot and was apprehended by police, who discovered methamphetamine, marijuana, drug paraphernalia and alcohol in his vehicle, a BMW 750 Li. Check out this handy article to find out the best places where you can get your drug addiction treatment. Tyler and his passenger were found to be under the influence and are facing drug related charges with Tyler also facing a charge of evading law enforcement and they could be facing charges in all three states. Tyler’s bail was set to $18,000 and he was booked into the Purgatory Correctional Facility. Walker WAS a rising star at one time, currently racing sprint cars, he was suspended while a Nascar Truck series driver and he had raced in the Nationwide series, 19 Nationwide races and 9 in the truck series. Walker was also in the news last year after an altercation at a sprint race; video is below and is definitely not safe for work or young ears. 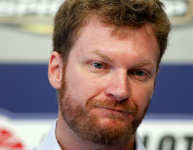 Dale Earnhardt Jr. announced in a press conference this week that he will miss the next two chase races because he has suffered two concussions, one during a test at Kansas and one last week in the final lap wreck at Talladega. Looks like Dale will have plenty of time on his hands, maybe he should try playing some online bingo at www.partybingo.com. The real question is, will it be safe for Dale and the other drivers if he gets back in the car at Martinsville? The data is piling up on how devastating concussions can be, so, it might be a good idea for Dale to take the rest of the year off, he’s knocked himself out of the Chase for the Cup already, so why take anymore chances on something happening to him or someone else? I’m no doctor, but, in this case, I think it’s better safe than sorry. But, I know of at least one driver, my favorite driver, that says if he is leading the Chase, no way he admits he has a concussion, he’d go for the championship and not say a word. It’s what athletes have been doing for years, that’s why sports like the NFL have rules about checking for concussions when someone is shaken up by a hard hit to the head. It’s also probably going to be why I believe Nascar will institute similar rules in the future, maybe a mandatory check after every wreck or something, as driver safety is the number one priority, well, maybe number two for the more competitive. Muay Thai Training + Private Room (own bathroom ) of 1 month = 11,000 Baht ( 353 USD , 253 Euro ). If you have your own reservations and you want only training , the cost 1 month is 9,000 Baht . The Muay Thai camp has had students from countries such as England, Sweden, Denmark, New Zealand, Norway, Finland, the United States, Canada, India, Estonia, France, Italy, Netherlands, South Korea, Australia, Japan, Singapore and many more. Muay Thai is a great exercise for your entire body if you are not interested in competing in any Muay Thai competitions, you are sure to lose weight and increase your physical abilities. The Phucket provice of Thailand is also a huge tourist location, so you can train and rest and relax while you are in Thailand. The have a video about the Muay Thai training camp here. Here are photos of the Muay Thai training camp, some of the accomodations here and some of the customer reviews here. It can be a shame for true car enthusiasts to see an otherwise impressive sports car driving down the highway, only to notice one lagging area that ruins the car’s initial given impression. One area that continually lags in many people’s cars, even when all other areas are superior to average car settings in their vehicles, is lighting. Poor lighting doesn’t only make a driver less safe on the road; it also detracts from the appearance of the car. If you’re still relying on all of your car’s stock lighting components, you may be hurting your car’s looks without even knowing it. For performance car drivers, lighting should be bright to the point of overcompensating (just don’t go too overboard). One lighting technology that really illuminates the roadways well is HID lighting. High Intensity Discharge headlights come in a variety of customized colors, so you can pick out headlights in blue, purple, or even white. HIDs can last up to ten times longer than stock halogens, and they shine nearly 3x as brightly. If you hook up your sports car with some bold purple headlights that illuminate half the highway, it will be hard not to notice your car as it blazes down the road. Tail lights shouldn’t be forgotten either, however. Many drivers are now turning to LED lights for their tail light needs, thanks to LED technology’s longevity and the light’s incredible brightness. If you’ve seen incredibly bright red tail lights on a recent car that look very modern, chances are you’ve witnessed LED tail lights in action, and they make an easy, powerful first impression. Interior lighting is important to remember too, because you do spend quite a bit of time inside of your car as well. You can stay classy and simple with interior lights if you want, but this approach often works better on luxury passenger cars than it does on sportier vehicle types. For a sports car lighting upgrade in the interior cabin, consider flashy dash gauges with digital displays that utilize LED lights, and strip lighting that runs along either the windows or the doors. LEDs and are also great for larger lighting needs, as they’re efficient but also can light most of the interior cabin without much effort, LEDs are plastic and are also really easy to repair, abs plastic repair is our go to recommendation. (compared to the poor lighting job most stock interior car lights do). With the use of new lighting technologies and a bit of innovative design choice, you can make your performance car have performance lighting that’s a perfect match. Finally, it seems Gordon is gelling with a crew chief, he and Alan Gustafson have put three wins together so far this year, but, more importantly, they broke the three way tie and have taken sole possession of third place in all time wins with 85. They could’ve easily won a couple more races this year and look to be strong in tonight’s race in Richmond. This is a great time to get on a streak of good runs as these last ten races are really the only ones that count nowadays, of course you have to get in those 12 spots to compete in the Chase, but that is a lot easier than winning the Chase. The end of the race in Atlanta was certainly exciting, Gordon had led a bunch of laps already and was looking to close it out, when Jimmie Johnson showed up and tried to ruin his party. In the final laps Johnson had five or six good attempts at passing Gordon and said he was glad he grew up racing on dirt or he could’ve spun out on every attempt. Gordon was able to hold him off, winning by just .598ths of a second. “Hell yeah! That’s what I’m talking about boys!” an elated Gordon yelled after crossing the finish line .598 second ahead of Johnson. Gordon was strong early, leading 100 of the first 164 laps. And after two brief stops for rain — one that brought a halt to the action for nearly 25 minutes — he slowly worked his way back into the lead on Lap 276, passing Johnson, and then held his advantage through a final round of green-flag pit stops on Lap 284. He had nearly a 2-second lead with 22 laps remaining in the 325-lap race, but Johnson closed the gap and the two battled furiously through the closing moments. “That was fun. I was slipping, he was slipping,” Gordon said. “There were a couple of times I thought he had me. Just call them butter, and let’s hope they keep on rolling. The top eight drivers are set for the Chase, Jimmie Johnson, Kyle Busch, Carl Edwards, Matt Kenseth, Jeff Gordon, Kevin Harvick, Kurt Busch and Ryan Newman, with Brad Keselowski clinching at least a wild card berth and is still eligible for a top ten spot, where his three victories will give him extra points to start the Chase. 12 more drivers have a chance to make it, some need to win and need help with other people having bad days, but, Earnhardt Jr and Tony Stewart have the best chance, as they just need to finish in the top 20 to clinch. 14 56 Martin Truex Jr.
19 88 Dale Earnhardt Jr.
Talk about a penalty, Kyle Busch has lost his license for 45 days after the May 24th speeding ticket when he was caught driving 128 mph in a 45 mph zone. Kyle was also fined $1,000, sentenced to 30 hours of community service and put on one year of unsupervised probation. He decided to contact Florida Ticket Firm for legal advice hoping for the best possible outcome in this case. Not sure how often this happens, but Kyle was definitely not shown any favoritism as most celebrities are nowadays. His lawyer from Norris Injury Lawyers Alabama – personal injury lawyers – said that Kyle was not treated like a normal citizen. Busch attorney Cliff Homesley argued that his client wasn’t being treated the same as other people in similar circumstances, citing a July case of a 21-year-old convicted felon who was caught doing 128 mph and received a $300 fine and no loss of license. Homesley, calling Busch one of the best drivers in the world, said: “He had full control of that vehicle at all times. While I am sure Kyle’s lawyer thinks that Kyle had complete control of his vehicle, he most assuredly did not have full control of everything around him. What if a kid had wandered into the road, or, more likely, an animal? Would he have been able to avoid it? Would he have crashed and killed himself and his wife, who was in the car with him? There are so many what if’s that it is hard to tell what could have happened had he not passed those three police cars. Here’s hoping he keeps the speed down on the highways and other roads and stays on the track with those kinds of speeds. And, here’s hoping they put that judge in the courtroom when other celebrities get caught doing stuff, if this judge had handled the first Lindsay Lohan troubles, she might have already straightened up by now. Here is the auto-tuned version of Pastor Joe Nelm’s prayer from the Nationwide race in Nashville. No, this isn’t for the speeding incident that Kyle Busch had a few weeks ago, Nascar has penalized crew chief Dave Rogers $25,000, Kyle Busch 6 driver points and Joe Gibbs six owner points because of rule infractions discovered in a post race inspection this past Sunday. Anybody know why they chose six championship points?